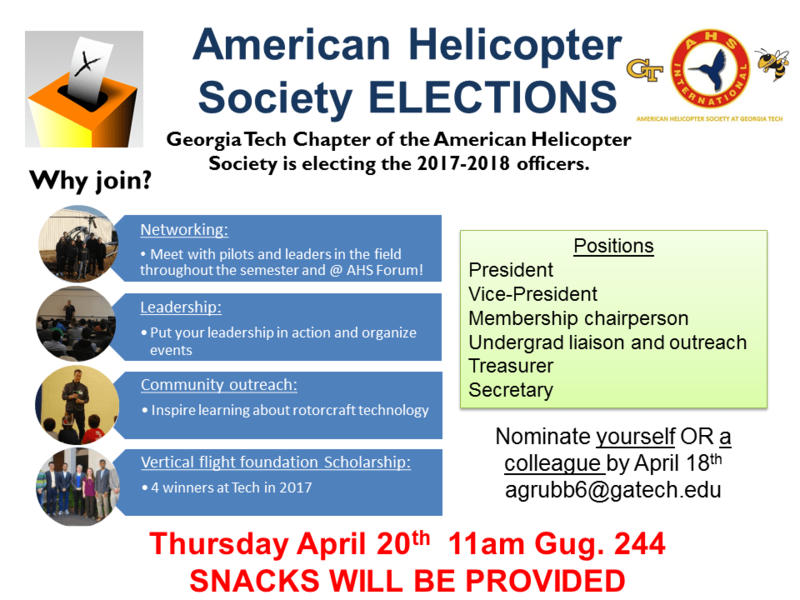 Georgia Tech Chapter of the American Helicopter Society is electing the 2017-2018 officers. Interested? Nominate yourself or a colleague before April 18th, by sending an email to the current President: agrubb6 at gatech.edu. Open Positions: President, Vice-President, Membership chairperson,Undergrad liaison and outreach, Treasurer and Secretary. The election will take place in Guggenheim 244 on Thursday April 20th at 11am. Snacks will be provided.